My passport was stolen and I need it to get back to the U.S. soon. What should I do? If your passport has been lost, stolen, damaged or mutilated, and your travel is imminent, you should make anhttps://evisaforms.state.gov/acs/default.asp?postcode=CSB&appcode=1 for the next business day. Customers without appointments may be seen after applicants with appointments. If all appointments for that day are taken, the consulate will accept your application on a walk-in basis. How do I renew my child’s passport? Form DS-11 completed – do not sign the application. Both parents must appear in person with the child before the authorized consular personnel. Child’s original birth certificate showing the parents names. Parent’s valid photo identification documents (passport or Spanish DNI or resident card). At least one parent must be present and will have to present a valid photo identification (passport or Spanish DNI or resident card). Also see Documenting American Citizen Services page. See our information on marriage formalities in Morocco. During a crisis, is there someone at the embassy or consulate who can help me? If you are an American citizen, or you are calling about an American citizen in an after-hours emergency situation please call: 0661-13-19-39. You will speak with the Duty Officer who will assist you. If you are calling from the United States, please dial 00-212- 661-13-19-39. I am just visiting morocco from the u.s. should i register with the consulate in casablanca? When traveling or living abroad, it is a good idea to take part in the Travel Registration Program offered by the State Department. When you sign up, you will automatically receive the most current information about the country where you will be traveling or living. The travel and contact information you enter into our Travel Registration program will make it easier for consular officers in U.S. embassies and consulates around the world to contact you and your loved ones during an emergency—including situations where your family or friends in the U.S. are having problems trying to contact you with important news. You can sign up on the State Department website. I am an american citizen living in morocco. Can I still vote in U.S. elections? Yes, you can still vote by absentee ballot. What jobs are available at the Embassy/Consulate? Do I have to be an American to work there? The embassy hires both Americans and locally engaged staff members. I need to see a doctor while i am in Morocco. Does the Consulate have a listing of English-speaking medical professionals? The consulate website has a posted list of doctors and medical facilities. Where else in Morocco besides Casablanca can I go for American citizen services? 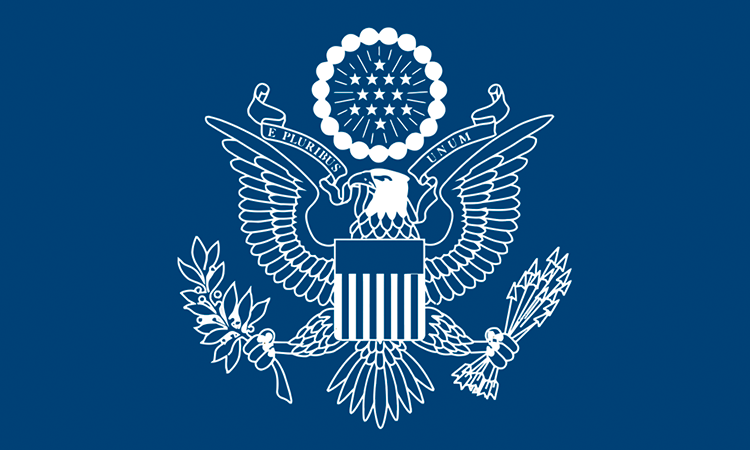 The Consulate in Casablanca is the only post that provides U.S. Citizen Services in Morocco. Can my U.S. citizen child petition for me to immigrate? Petitioning children must have reached the age of 21 to be eligible to file a petition. Therefore, a U.S. citizen child must be 21 years or over to file for a parent. Please visit www.uscis.gov for further information. I need to obtain criminal records from the United States, how do I get them? Contact your local Department of Public Safety or State Police from the state you last resided. I would like to bring my cat/dog into the United States, what do I need? For cats and dogs: a certificate of good health issued by a veterinarian, dated within 10 days of travel and stating the pet has all vaccinations up to date. Dogs must have been vaccinated for rabies within the year, but not within the last month. This requirement does not apply to puppies less than 3 months of age; puppies up to three months must be confined at the owner’s expense, then immunized and confined for an additional 30 days. Certificates should be in English or accompanied by a translation (does not need to be an official translation). How do I obtain a U.S. birth, marriage, divorce or death certificate? Can I validate my U.S. drivers’ license in Morocco? No. You will need to request a Moroccan Driver’s License. You must contact the Department of Motor Vehicle Office in the state where your driver’s license was issued for instructions on renewal.